Zucchini noodles or their other name “zoodles” being used in recipes is definitely on the rise right now. I am really happy this healthy trend is going around. 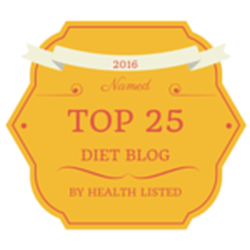 A dear friend of mine, Chelsea Cohen came up with a paleo recipe for zoodles which I am excited to share. It uses two different brands of Pure Indian Foods Ghee. By combining two different ghees and just the right amount of spices she was able to transform the standard zoodle into something far from ordinary. 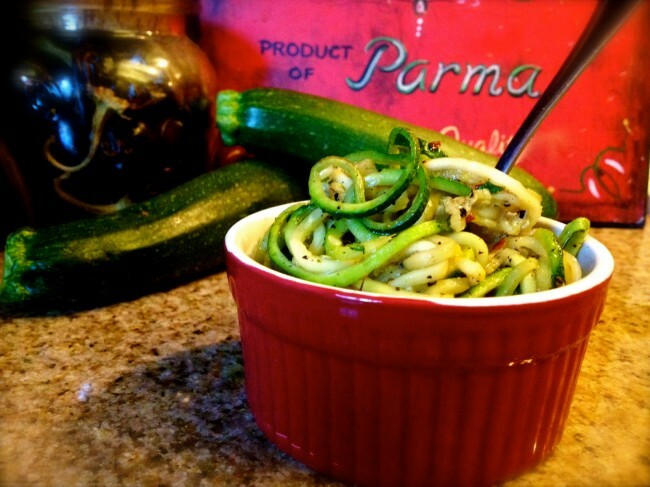 For your ease in creating zoodles, I highly recommend using the Spiralife spiralizer. Pure Indian Foods is definitely on my top list of ghee companies. If you haven’t tried their ghee then you really should! This is really quick and simple to make and delicious with a variety of protein options. If you are leaning out, or attempting to burn fat I would suggest this recipe with a chicken or beef dish or if you’re feeling particularly creative, try it with my smoked chicken gumbo. Don’t forget to also check out the eBooks I have available on my books page. Give your taste buds a trip to Italy with this delicious zoodle recipe using some of the best ghee! Place both ghees into the pan. Once the ghees begin to melt, add zoodles. Cook a few minutes, only until the zoodles soften. Do not overcook.